Comments: Stewartias grow in deep fertile, well drained acidic soils with high organic matter content and partial shade along streams and spring-fed bluffs and hillsides in mixed woodlands. Large white flower buds are followed by white solitary, five-petalled, cup-shaped flowers opening to reveal dark purple stamens. This is truly a most exotic flower. 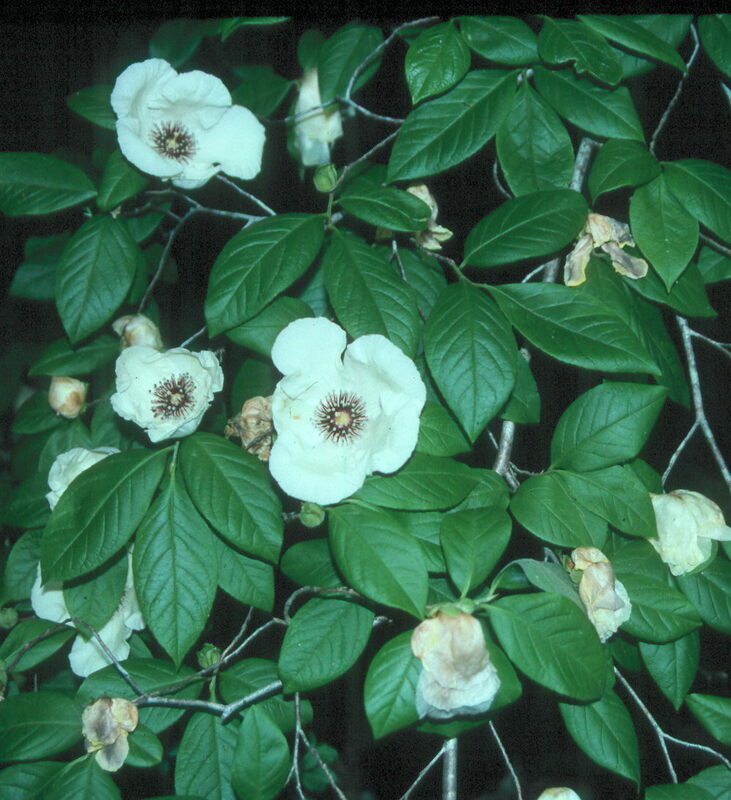 Plants are difficult to grow and should never be transplanted from the native stands in Southern forests and woodlands.